List: What I’m …ing this week! I’ve seen this done before but in a slightly different format, but here is my “What I’m… ing” this week! I’ve always been a bit slow on the uptake when it comes to TV Shows so needless to say, until recently I’d never watched ABCFamily’s Pretty Little Liars. I started watching it at the beginning of last week and I’ve been having a little mini binge session since then, as I’m already almost finished with Season 1. I haven’t taken to a program quite as quickly as this one in a long time. I avoided watching it for so long because it just sounded too much like Gossip Girl, but now I can see how there are differences and I’m really enjoying watching it. As per usual, I’m listening to 1989 by Taylor Swift. She is absolutely my style icon and I love her music so much, I have a ridiculous obsession with her early stuff and her new album is also pretty damn fantastic. I particularly love Style and Blank Space although as a whole the entire album is wonderful. I’m also really enjoying the songs Hold Back The River by James Bay and I Follow Rivers by Lykke Li. Of course, I still like a little dance around my room to Uptown Funk by Bruno Mars & Mark Ronson as well. I’m back at work at the moment so I’m back to boring uniforms and smart dress, but at weekends I’m absolutely loving swinging mini skirts. I just bought the most gorgeous striped dress from Hollister and it makes me feel really French so I’ll probably be getting a lot of wear out of that one! I’m using quite a few new products at the moment because I’m reviewing them for this blog, but I’ve started testing some French-made products as well to see if they’re as good as they’re hyped up to be. One of my French friends always has a tube of the Le Petit Marsailiais lip balm on her. I spied it in the supermarket aisles while I was doing my food shopping this week, and because it was cheap (less than 2 euros) and because she wouldn’t forgive me if I didn’t at least try it, I bought a tube. It makes your lips feel amazing, as far as I can see so far my chapped lips have more or less completely gone after only a few uses and it smells amazing as well- it has argon oil in it. I’m not sure if it’s sold in the UK but if you’re ever in France I definitely recommend buying this product. At the moment I’m reading a political autobiography, which is kind of outside of what I’d normally read but I’m finding it surprisingly interesting and thought provoking! 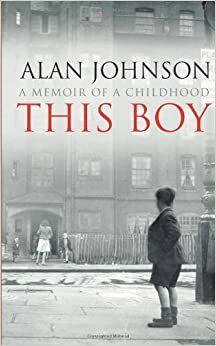 Its called This Boy by Alan Johnson, who is a former Chancellor of the Exchequer. It’s the story of his life in poverty in 1950s Notting Hill and is definitely worth a read, especially at the moment in light of the upcoming parliamentary elections. I’m not far from finishing this, so my next read will be Great Expectations by Charles Dickens. I’ve been trying to read this book for years so I’m giving it yet another go. I’m also reading The Magician’s Nephew by C.S. Lewis on the side, in French. We have a lovely long four day weekend this week which is great for someone who works in a school! 2 extra days away from the kids goes down well in my books! I’m currently in the midsts of re-enrolling at university for my final (fourth!!!) year! The module choices are ridiculous so I’m hating the thought of going back to uni right now! Previous Post Wishlist: ASOS pay day treats!